The players who brought home the State of Origin trophy for NSW last year will have dibs in Brad Fittler's 2019 team so long as their form holds up. Origin is still 114 sleeps away and while Fittler is generally opposed to locking in selections too early, he hasn't stopped plotting to keep the shield south of the border. The Blues mentor put a broom through the 2017 squad in his rookie season last year, handing out 11 debuts for Game I against Queensland and bringing in two more rookies by the end of series. 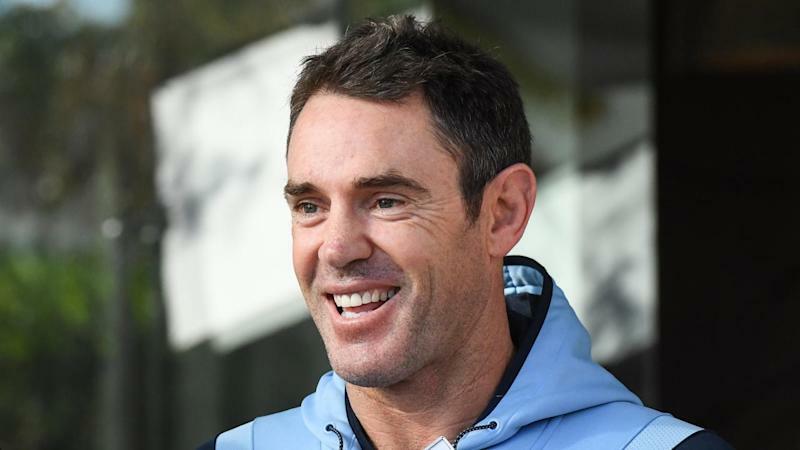 But with the Blues sitting on only their second title in 13 years, Fittler seems inclined towards far fewer changes this time around. "Loyalty definitely counts if those players are playing as well as they did last year they'll be picked," he said on Monday. "There's going to be a lot of pressure because there's a lot of NSW players that did extremely well at the back-end of last year. "It was a fresh slate (in 2018) and we picked 11 new players but they have dibs on the positions." Fittler will embark on his Hogs for the Homeless tour on Friday, heading up the NSW coast to Lennox Head, out to Tamworth and then down to Orange and Wagga Wagga on his annual eight-day Harley Davidson charity ride. It was on these regional visits last year, the 47-year-old says, that he realised he needed to get rid of a selfish culture that had plagued the team and find players ready to win. Yet he reckons he will only find out if winners remain grinners when this year's series begins at Suncorp Stadium on June 5. "They made some big plays, none more than a tackle in the corner from James Tedesco (on Kalyn Ponga in Sydney in Game II)," Fittler said. "Hopefully they use that experience and learn something out of it. "A lot of people have had that experience and gone on and not learned the lesson and never done it again. "Hopefully there's a lesson there to keep improving."